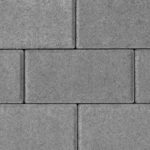 Holland pavers offer the traditional appeal of a simple brick shape with a beautiful, durable surface. Jumbo Holland pavers come in three sizes, giving you the ability to mix sizes and patterns and colours for dramatic effect. To best serve our Canadian customers, please contact our team in Canada directly with any questions.